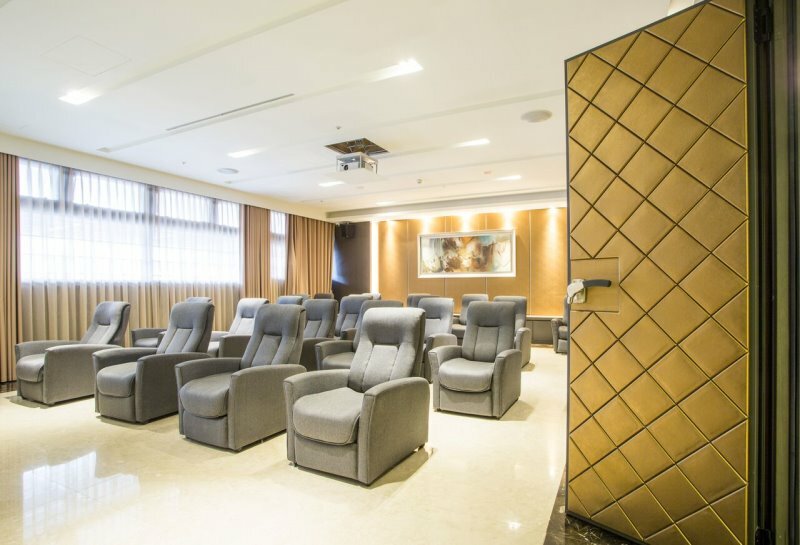 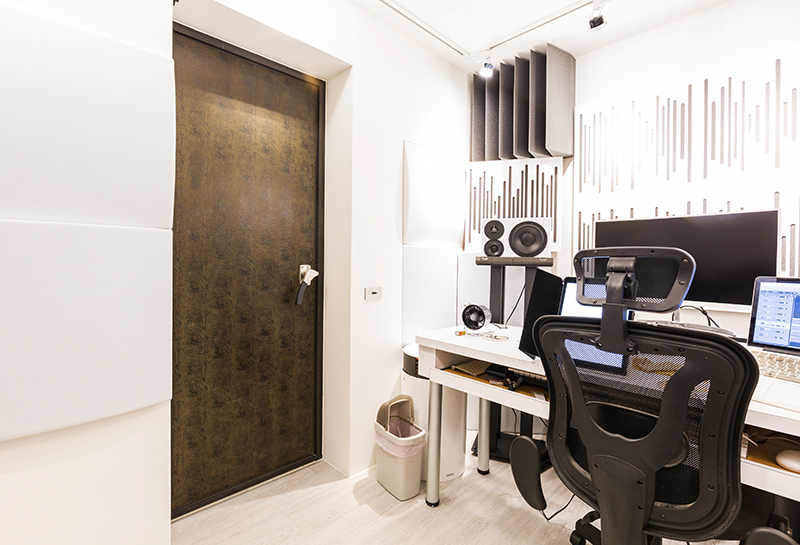 Can be used for musical instrument practice or recording rooms, home theaters, audiovisual rooms, or KTVs. 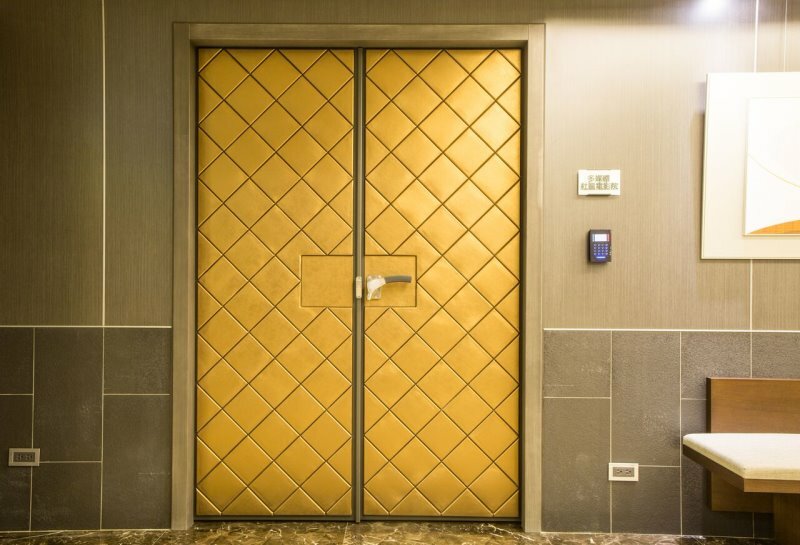 Combines professional fabrication methods with customized services. 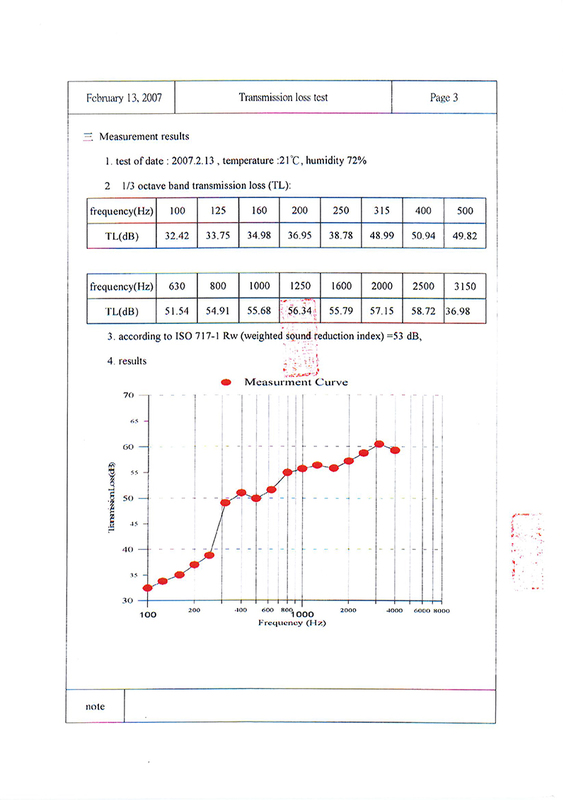 Laboratory tested at Sound Transmission Class (STC) 53 dB. 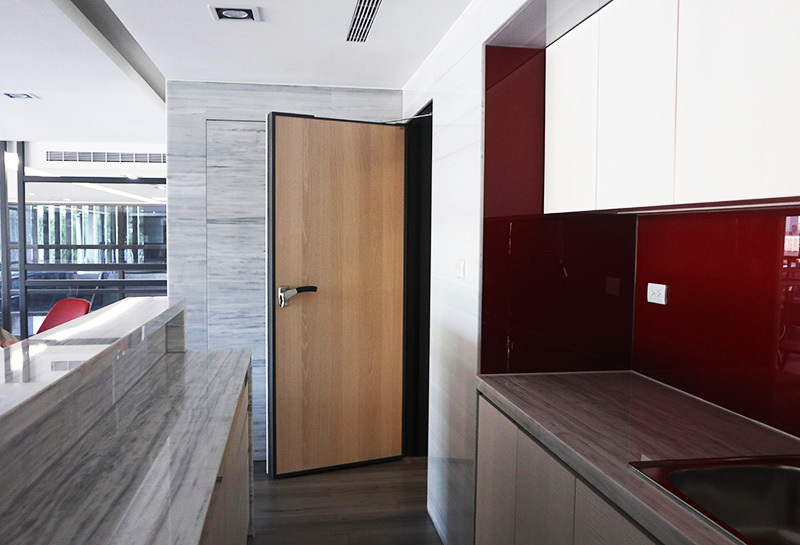 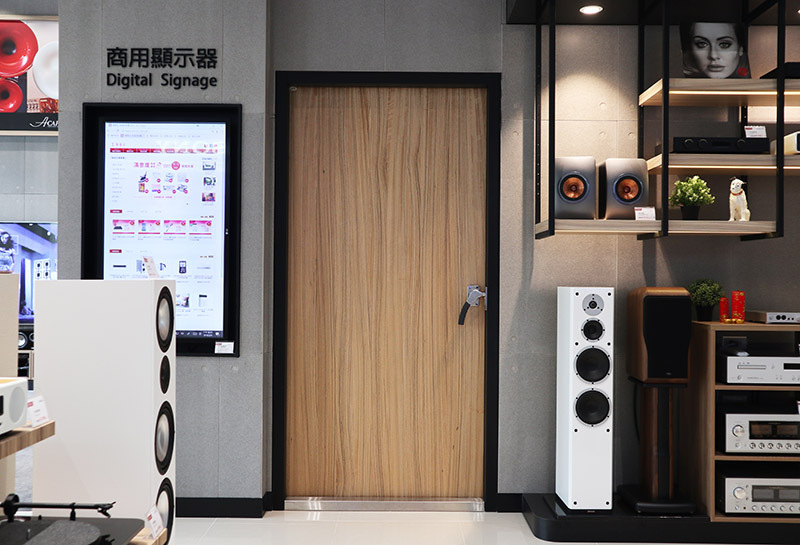 The door shape is not fixed, and there is a free choice of surface materials to match your interior decoration, so you can create a home atmosphere full of art and beauty. 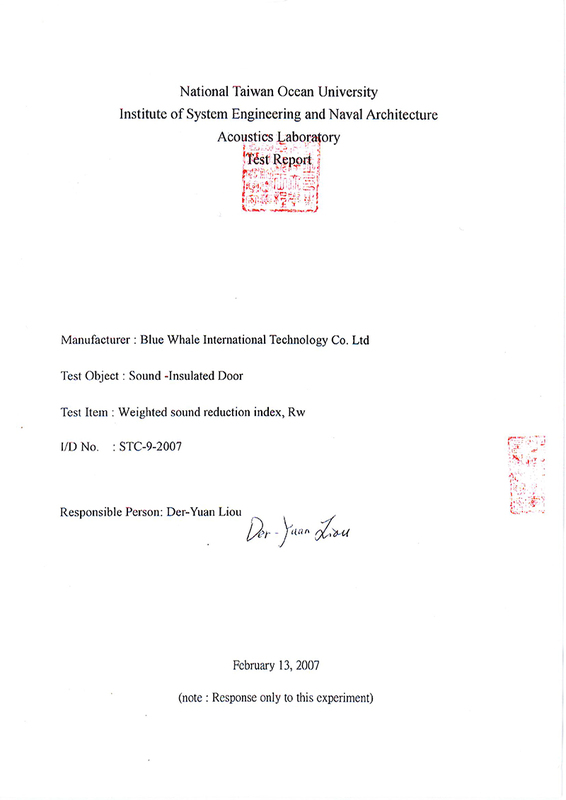 Blue Whale’s patented double-airtight structure has passed tests at Taiwan’s National Ocean University Laboratory proving it reduces noise by 53 dB. 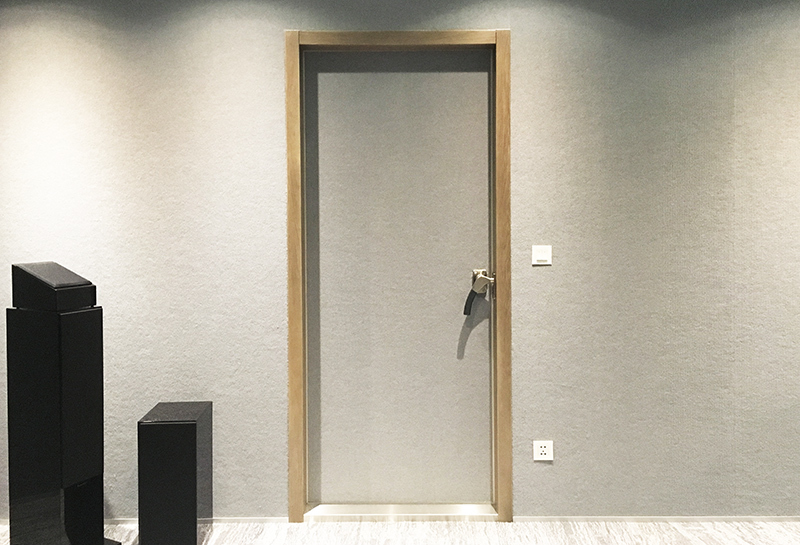 Blue Whale professional soundproof door F60A with fireproof and smoke proofing certification, affixed with a government stamp. 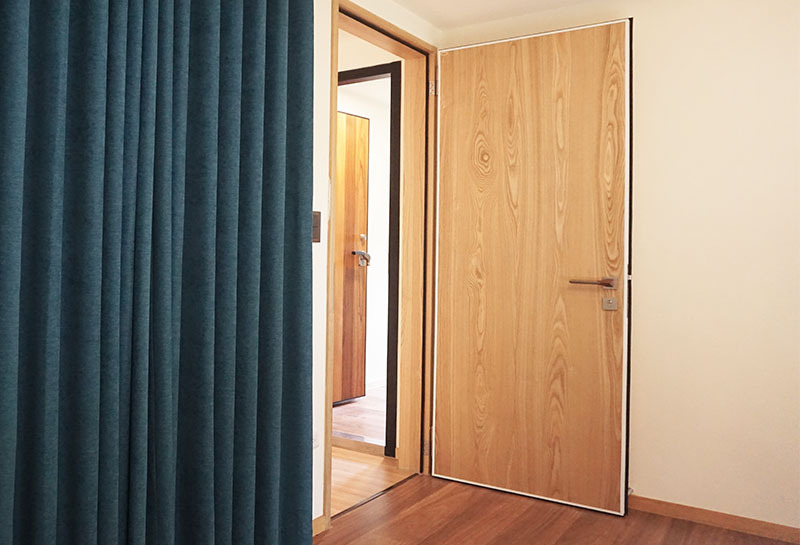 Only for doors of a maximum size of 300 cm by 300 cm. 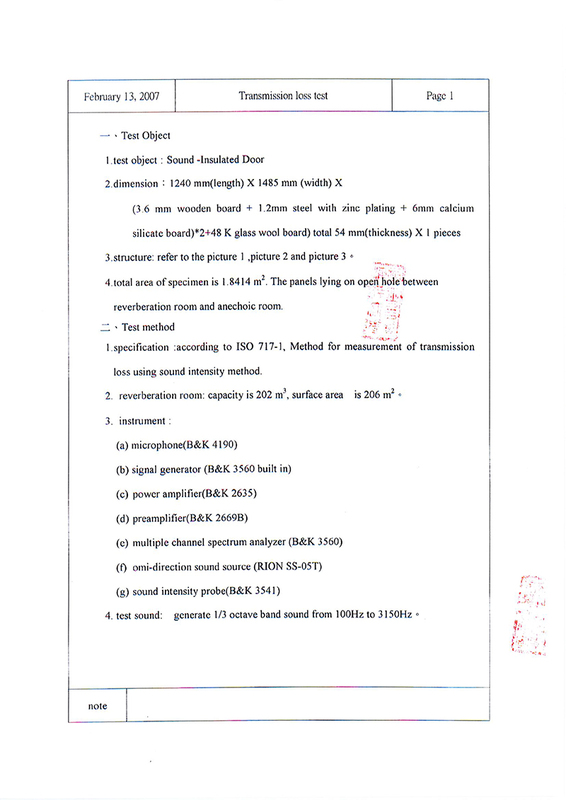 Blue Whale combines customized services with professional engineering methods. 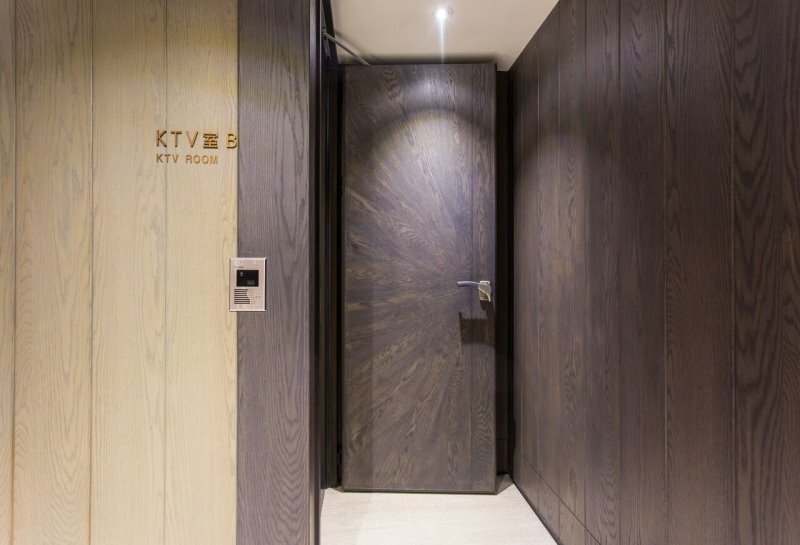 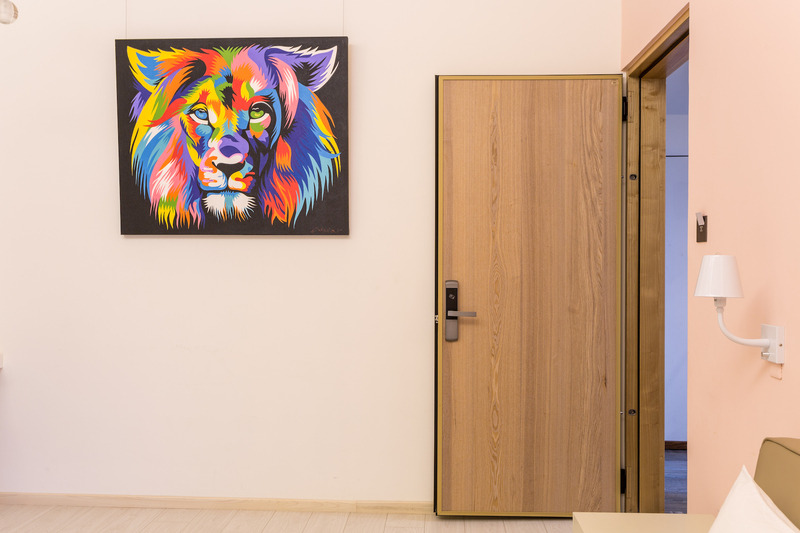 Our door shape is not fixed and there is a free choice of surface materials to match your interior decoration, so you can create a home atmosphere full of art and beauty. 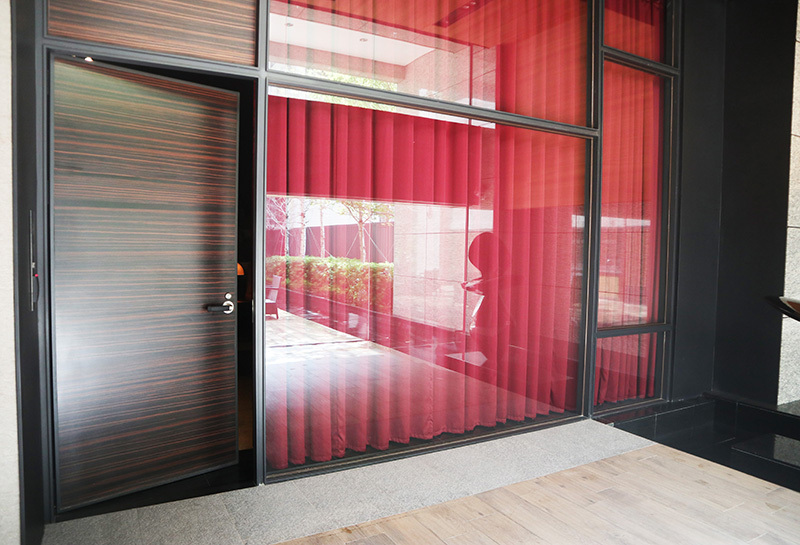 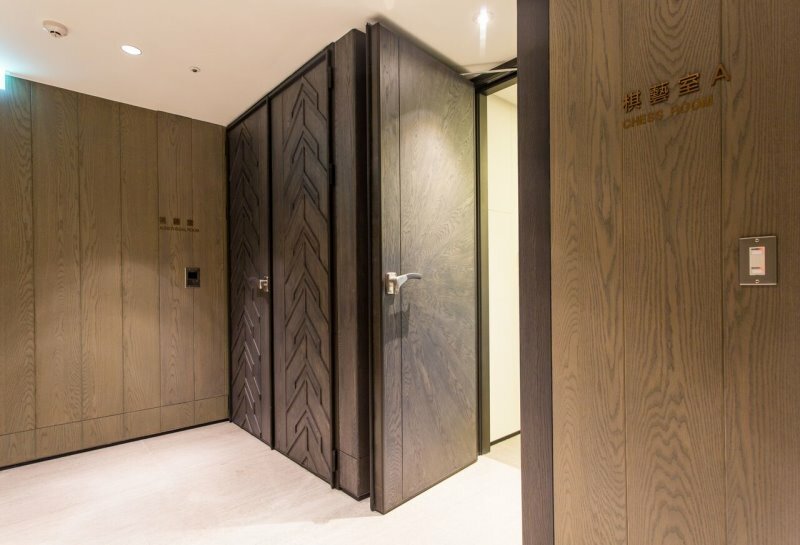 Double-sided surface material can be matched with wood grain, artificial leather (PVC), and other materials. 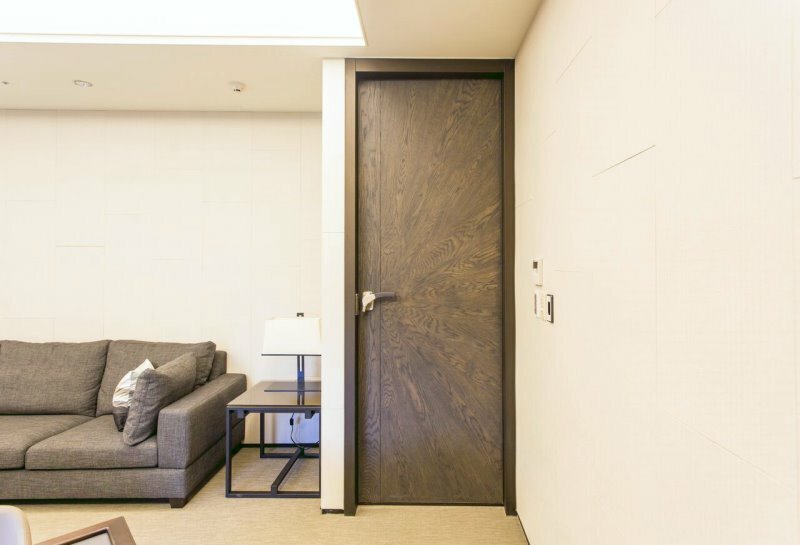 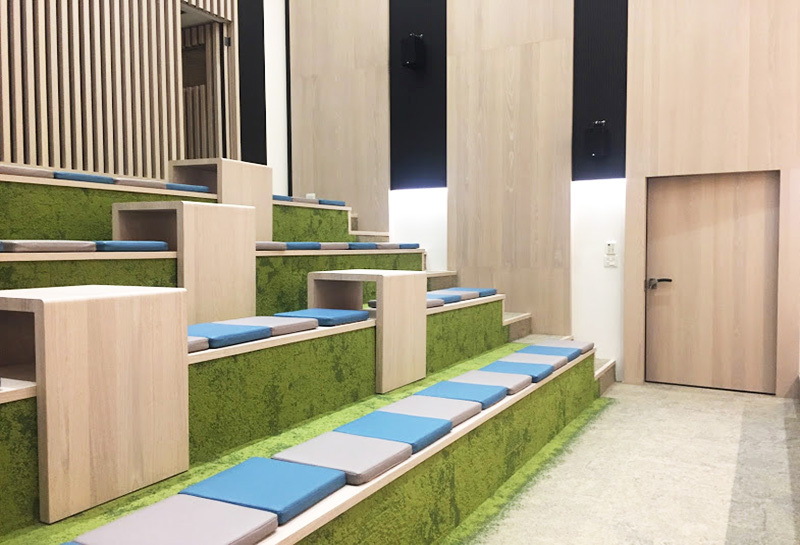 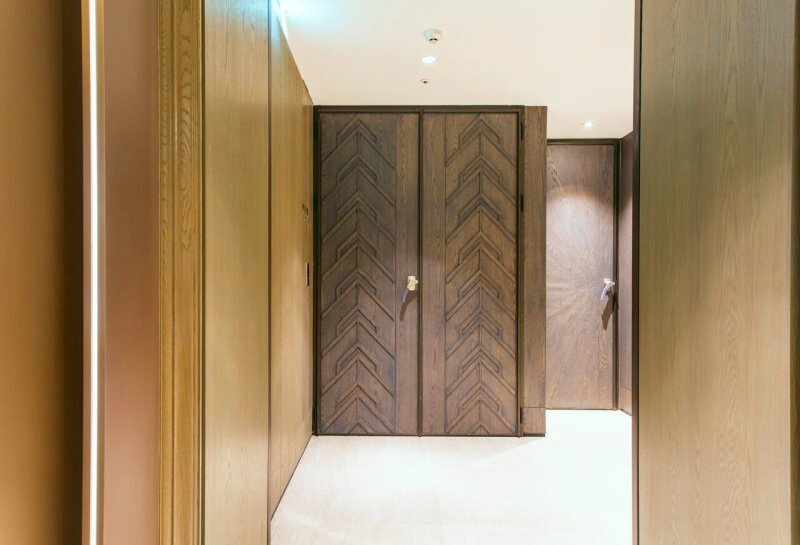 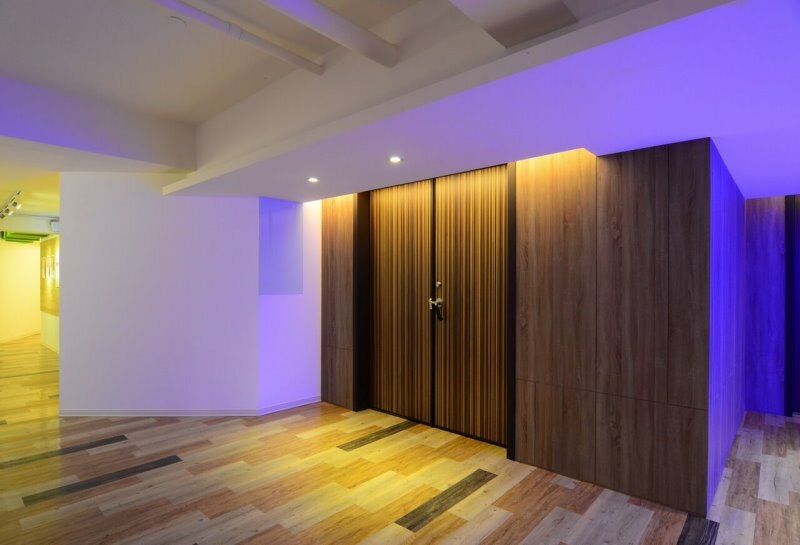 Interior designers may provide their own surface materials, or Blue Whale can provide a bare door structure allowing designers to finish the door on their own. 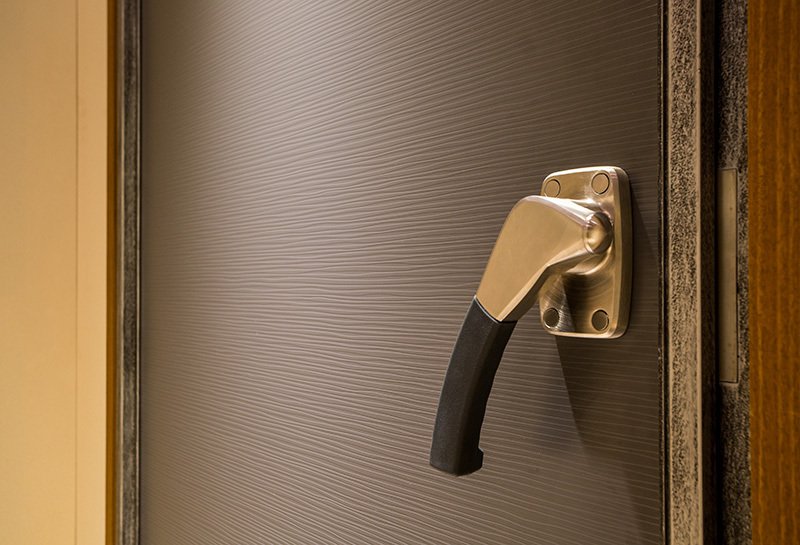 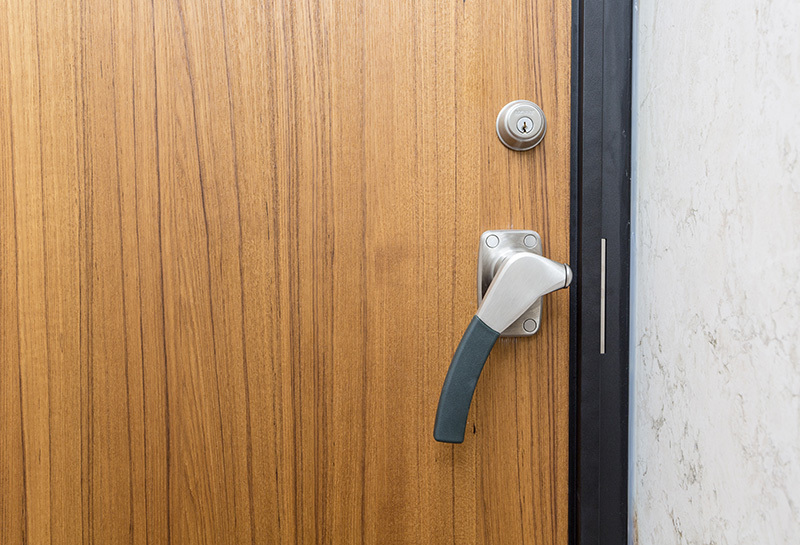 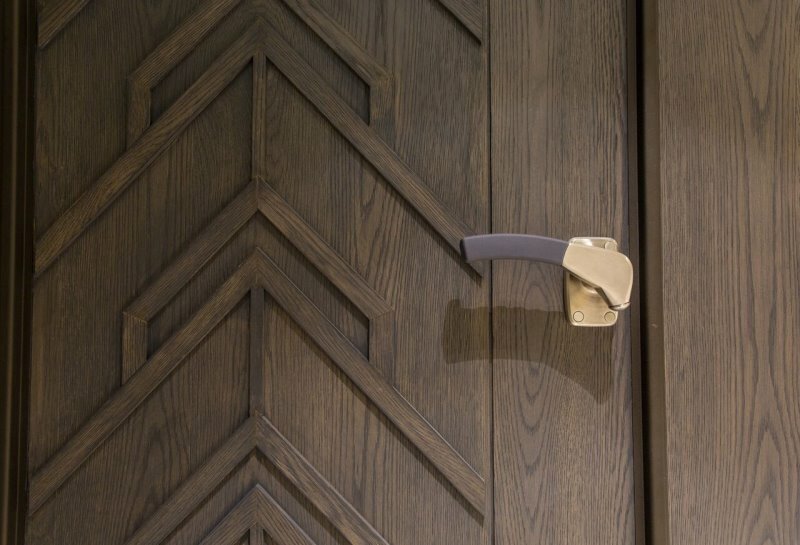 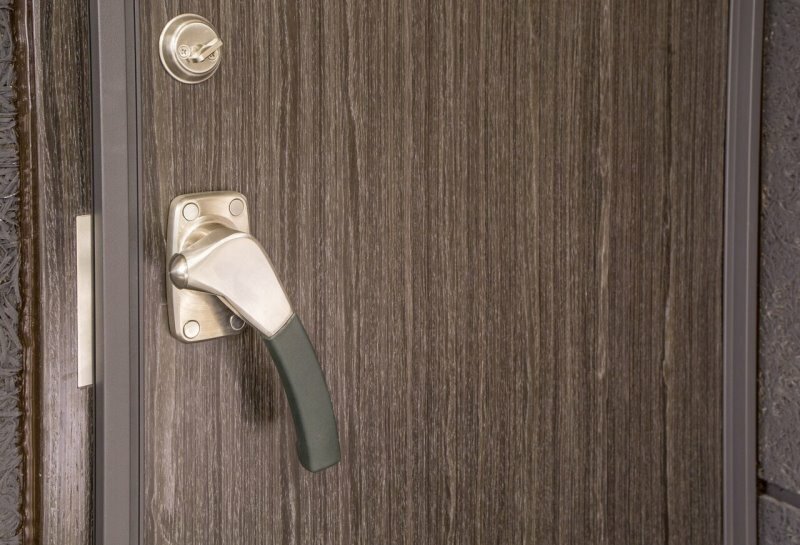 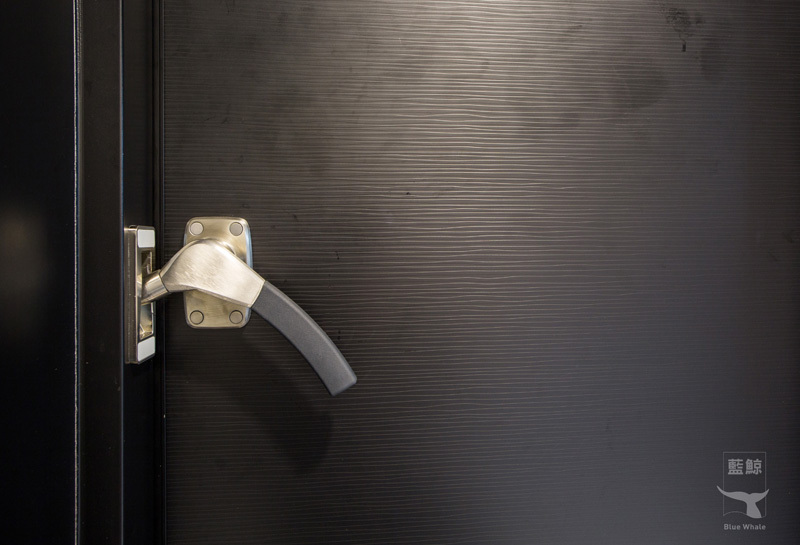 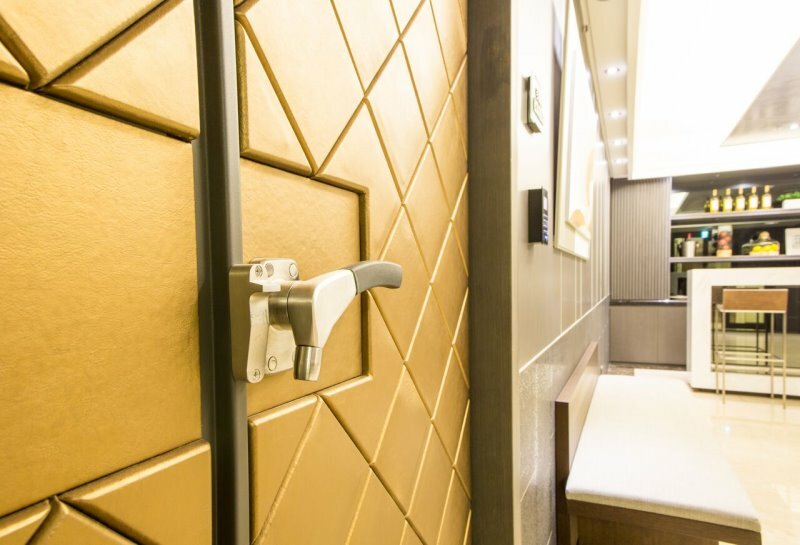 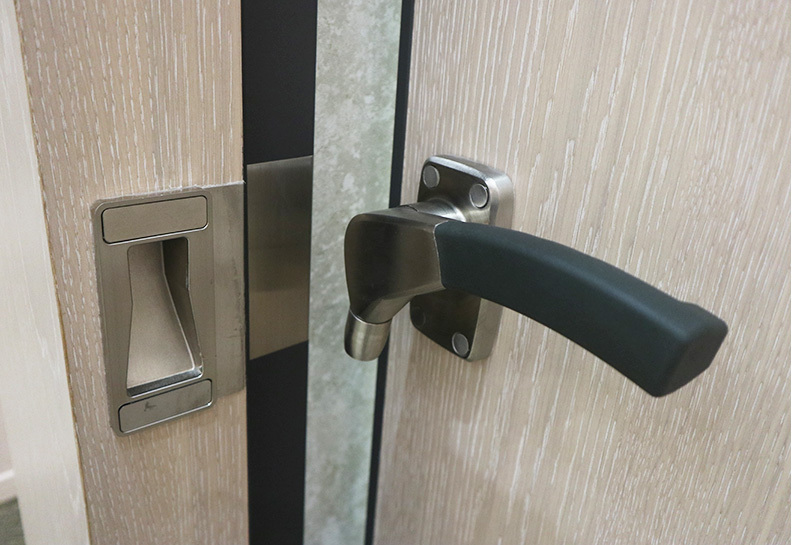 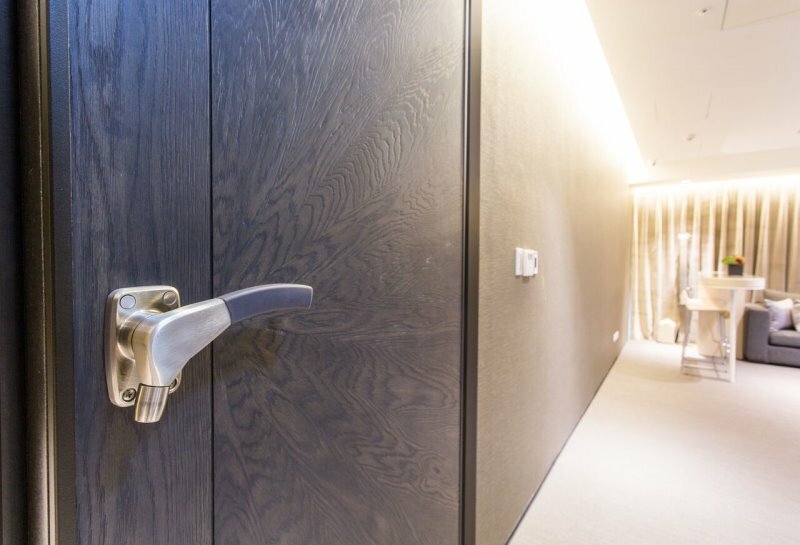 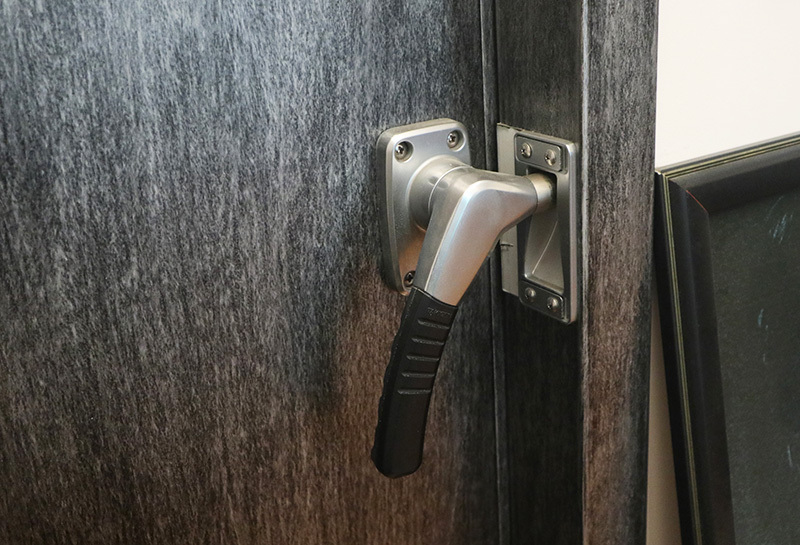 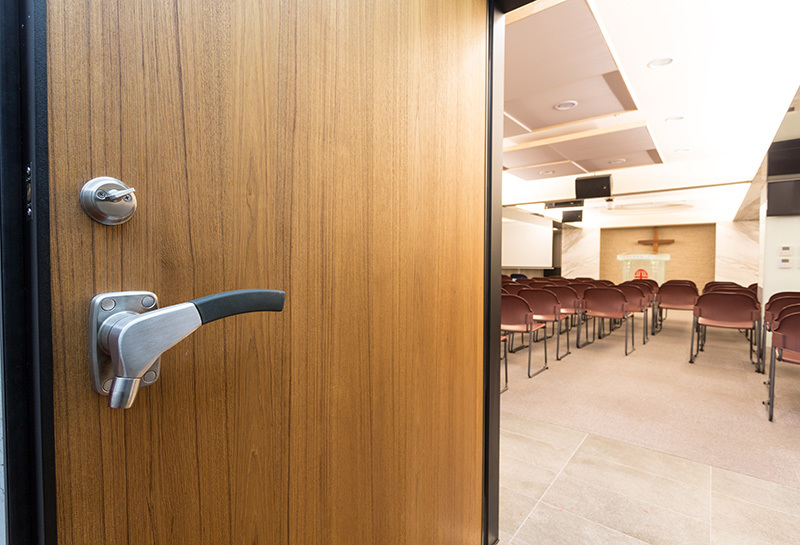 Door handles can be selected for either light or heavy duty to achieve the best sound insulation within your budget. 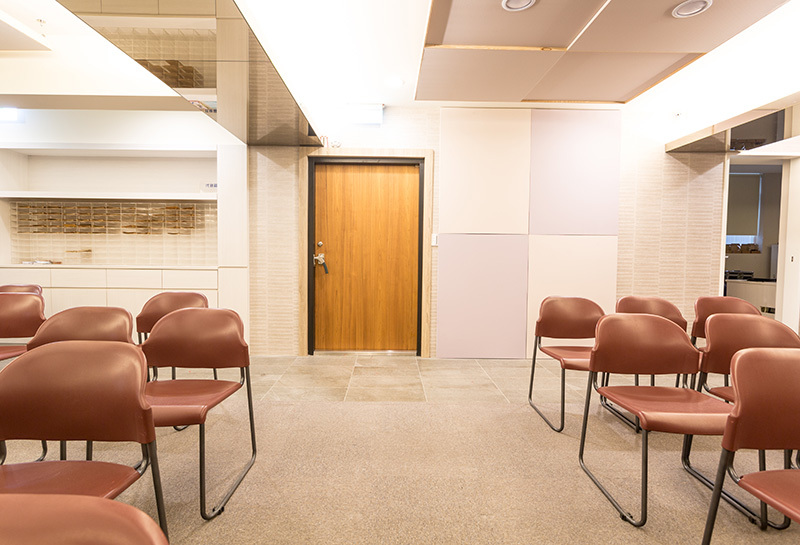 Front galvanized steel plate available with a variety of wood panels or artificial leather (PVC). 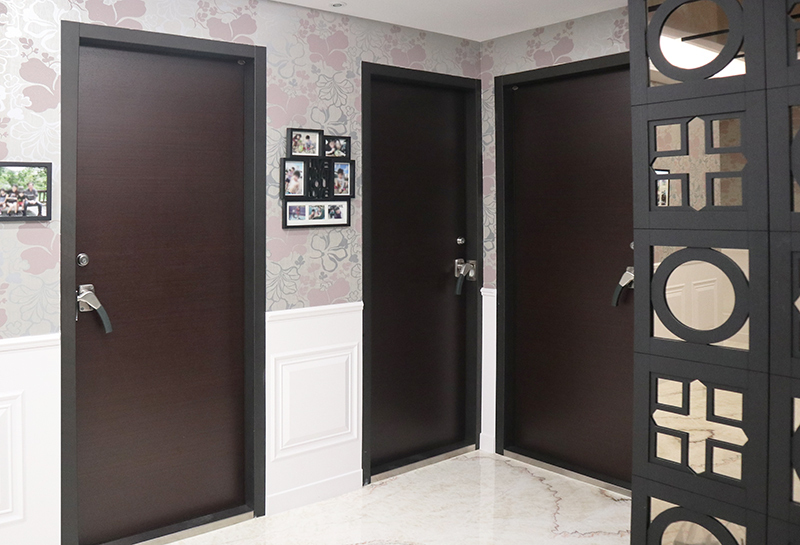 The door frame is made of galvanized steel with exterior materials attached using EPDM strips. 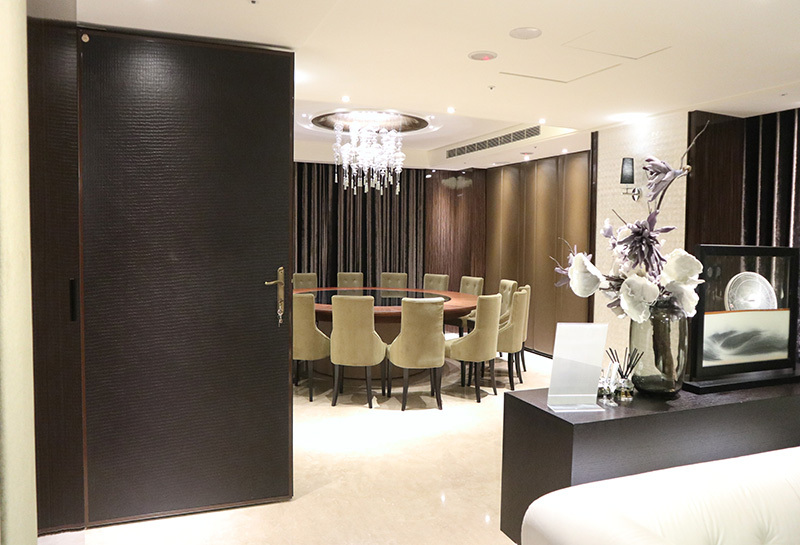 Blue Whale combines customized services with professional engineering methods. 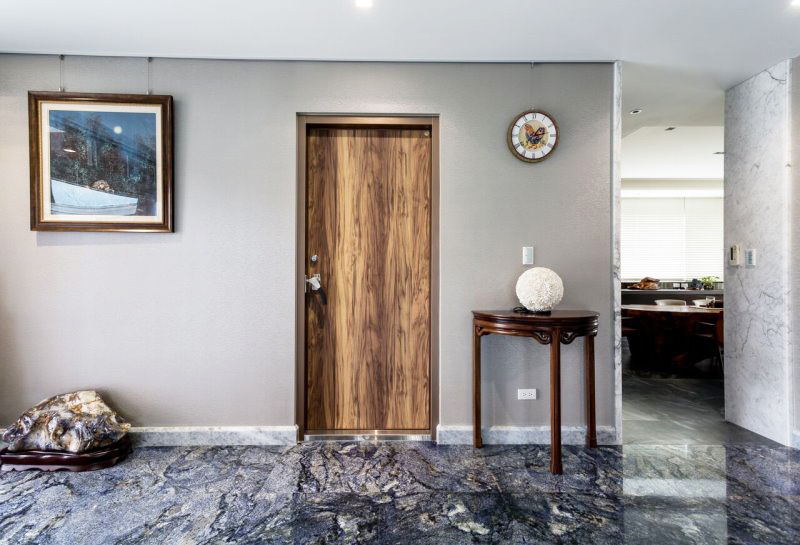 Our door shape is not fixed and there is a free choice of surface materials to match your interior decoration, so you can create a home atmosphere full of art and beauty. 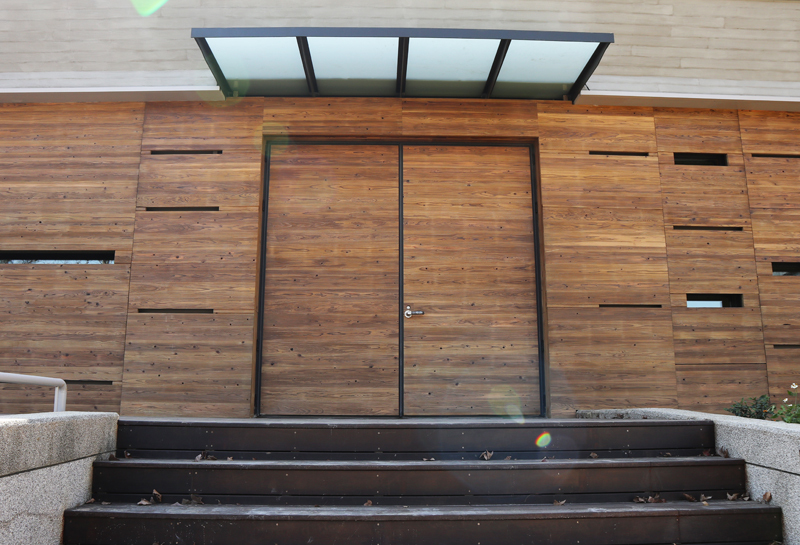 No threshold gap, so there’s excellent sound insulation, smoke prevention, and mosquitoes can’t enter. 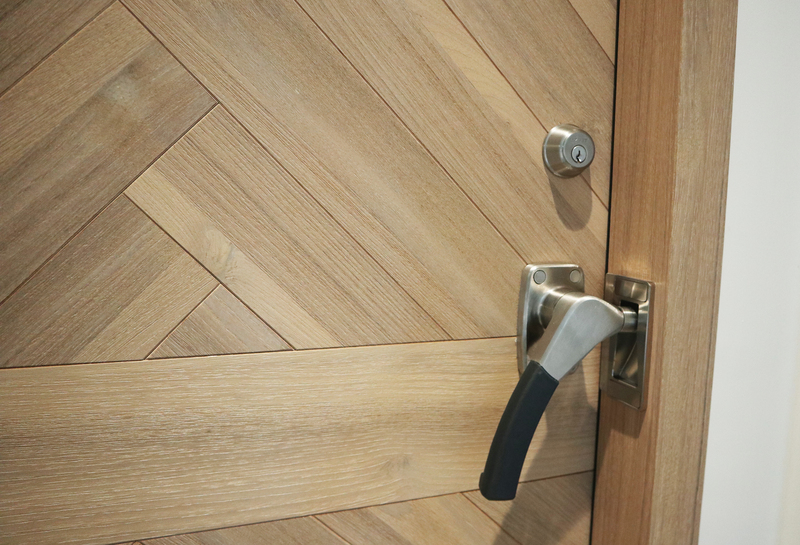 And you don’t need to worry about tripping on the door. 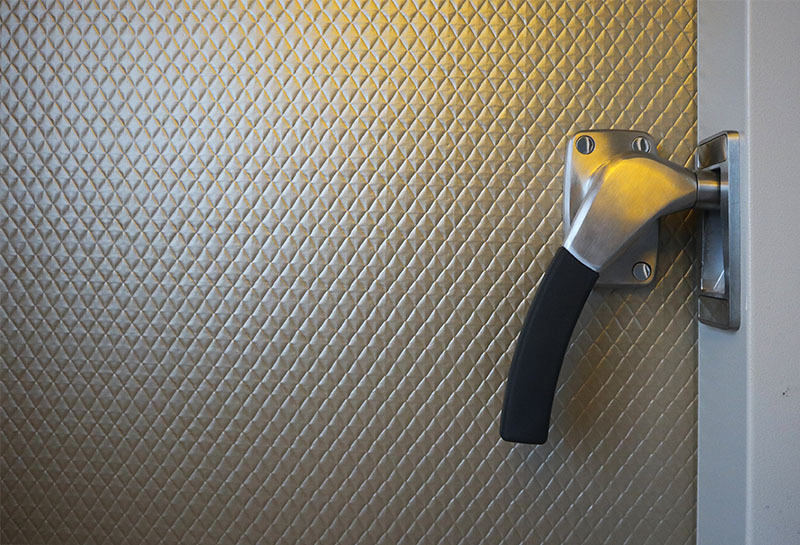 Model 180 779 Pressurized Handle (including opening). 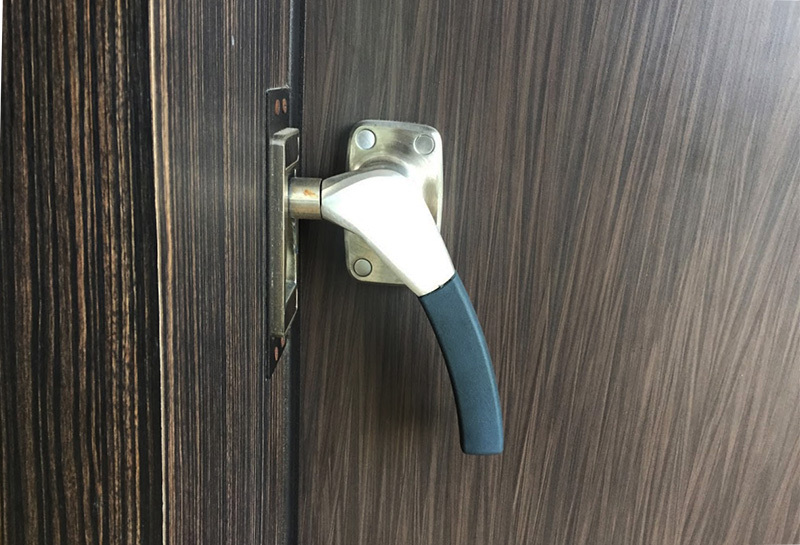 Price: 1 piece = USD$250.